What does the future of BlackBerry's business look like? CEO John Chen would sure like to believe the company will keep on making smartphone hardware, but even with plans for two new models on the horizon for later this year, long-term prospects are anything but certain. Maybe software and services will help keep the firm afloat, and today we see the latest effort to spice up those offerings, as BlackBerry brings video-call support to BBM on Android and iOS. We've certainly seen renewed interest this year in getting more folks using BlackBerry Messenger, like last month when a bunch of premium BBM features went free-to-use. Now BlackBerry's bringing the BBM video support that had once been BlackBerry-10-exclusive to additional platforms. Mind you, this feature is still in its beta phase, and availability is quite limited. For the time being, Android and iOS BBM video-call support is only available to users in North America, but that won't be the case for long; BlackBerry's already confirmed that global access is set to open sometime this July. BBM's video interface grows out of its existing voice-call support, allowing users to choose just how they want to interact with a caller when opening a session. While this is nice feature to see BBM pick up, is it a matter of too little, too late? After all, it seems like every messaging app under the sun has recently added video support, and even software like Snapchat is maturing into a viable communication tool. 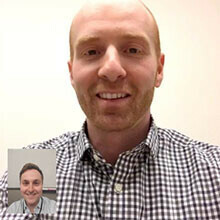 Video-call support may not hurt BBM, but is it enough of a hook at this point to keep the service afloat? We may be about to find out. Reminds me of when Windows phone started getting relevant apps 5 years later. Man why couldn't they do this years before. YEARS before. Freaking bucketheads running things over at BlackBerry. It's arrogance to blame... We all are aware of Blackberry and Nokia's response regarding the the launch of original iPhone... They failed to see the Ace up in Mr. Jobs sleeve...! Then BB CEO Balsillie on the iPhone in February 2007: "It’s kind of one more entrant into an already very busy space with lots of choice for consumers ... But in terms of a sort of a sea-change for BlackBerry, I would think that’s overstating it." AND THAT'S NOT ALL! Mike Lazaridis on the iPhone in November 2007: "Try typing a web key on a touchscreen on an Apple iPhone, that's a real challenge. You cannot see what you type" DELUSIONAL AND DOWNRIGHT ARROGANT BLOWS AT WHAT IS NOW CONSIDERED THE MOST INFLUENTAL GADGET BE TIMES... The failed to recognize the threat... I must say, Blackberry deserve a GRAVE its in... G'Day! Why? I understand it's a little on the dramatic side of things, but it is accurate. FaceTime has been out for almost three years, Facebook Messenger has had video calling for awhile now as well. Hangouts has had it for around two years, Skype's had it for forever. When it comes to the latest features and hardware, Blackberry has been behind for years. Another example of Blackberry living in the past. This has hurt them with their recent product offerings in the hardware market. They have to stop trying to live with their image of the past. This is now. And till even now thier phones hardware is not near S7 M10 G5 and Mi5. Even same goes to ip6s. Even worse. Totally agree. The title is nothing more than sensationalism at its finest. Sensationalism would imply that the title lacks accuracy. Compared to other messaging services, where does BBM stand? BlackBerry's commercial consumer hardware/software is struggling to stay alive. The title is accurate. There aren't nearly as many people using BBM as there are using more popular services. If you're not making a profit, you're losing money. Therefore, you're fighting for your life. Over 90 million monthly active BBM users would definitely differ with you. Chen himself has said in BlackBerry's latest ER that they made a profit in messaging. That's BBM. BlackBerry's software is not only profitable, but it doubled this past quarter, so no, they aren't struggling with software. So when it comes to BBM and Software, BlackBerry isn't losing money, ergo sensationalist title. That number seems impressive, but when compared to relevant messaging services it's quite insignificant. iMessages has over 2 billion monthly active users, WhatsApp has over 1 billion, Facebook Messenger 800 million, Google Hangouts doesn't post figures but rumored to be over 100 million. BlackBerry's hardware is losing money though, which begs the question, how much longer will they produce hardware for the sake of being remembered when they post year over year deficits? Its true that those have more active users but its also true that BBM offers way more features compared to those and far more privacy. That doesn't matter if nobody you know uses it. 90 million users, who are they? I don't know anyone who still owns a BlackBerry phone, and I don't know anybody who uses BBM. Other than those people who rant and rave about it online. So because you don't know anyone using a BlackBerry or BBM means it's of no consequence? That's not even remotely logical. One mans trash, another mans treasure. I personally have over 100 BBM contacts, and that's not to mention the 20-something BBM groups I'm a part of. My whole family uses BBM and we dont own any Blackberry devices. Its cross-platform unlike some others. As I said, over 90 million monthly active users would disagree with you. There's no way you can discount it. Doesn't really matter if the others are larger. What's important is that there are over 90 million monthly active BBM users. And the number isn't dropping. BBM also offers far more features and privacy (as already mentioned) than the others, ESPECIALLY if you're using BBM Protect. And Chen will straighten out the hardware, or they'll exit the hardware business. It STILL doesn't change the fact that the rest of the company is making a profit, especially software, messaging, QNX, licensing, EMM/MDM, etc. And for a company that's shifted to a Software and Services company FIRST, that's what's important. More so than hardware. I'm not saying it's a bad messenger service. I'm just saying, it's 8th on the list out of 10. http://www.statista.com/statistics/258749/most-popular-global-mobile-messenger-apps/ It's nowhere near the top, but it's not exactly the worse. It's just there. BlackBerry's brand is kind of just there, existing. Not growing, just slowly getting smaller and smaller. I understand it's shifted to services and software, but for a company whose success is directly attributed to their prior hardware success, it'll inevitably suffer as the hardware suffers. The company continues to downsize. Well, why don't you write your own article and come up with your own title that you think is more fitting. For those not in the know, (and it seems to be a few of you) BBM has had video messaging since BlackBerry introduced BB10. It just want cross-platform, but then again, FaceTime isn't cross-platform, and probably never will be. BlackBerry often introduces new features into BBM a lot quicker than other messaging apps, like retractable messages, editing messages after they've been sent, etc. There are many messaging apps that have yet to introduce these features, like iMessage. Soon Apple will become like BB and Nokia. While Android keeps dominating. Well, irrelevant subject aside, that won't happen and it's ludicrous to think it'll happen. Despite what you and a few misguided people think, Apple still has a brand following. The only reason why Android continues to dominate is because of volume. Android is on many more devices than iOS is. Devices like tablets, phones, watches, cars, kitchen appliances, and even TVs. Won't be long before you have Android happy mean toys. The point is that you need to look at it a little more in-depth than the limited field of view you're using. Question is, who cares about the simple letter error? The comment's point is all that matters. I understand if it's challenging for you. YOU do, or you wouldn't bring it up when others make a mistake like that. I understand that it's a challenge for you to admit the truth. Not my fault if you were unable to read my comment and see the point. Of course, you're the one who loves to point out errors, which is why I started doing it to you. Get over it.